All this shows us how earnestly we must strive to avoid, as children of the Church, this insane freedom in ventilating opinions which the Fathers were careful to shun. […] neither Jerome nor the other Fathers of the Church learned their doctrine touching Holy Scripture save in the school of the Divine Master Himself. We know what He felt about Holy Scripture: when He said, ‘It is written,’ and ‘the Scripture must needs be fulfilled,’ we have therein an argument which admits of no exception and which should put an end to all controversy. Yet it is worthwhile dwelling on this point a little: when Christ preached to the people, whether on the Mount by the lakeside, or in the synagogue at Nazareth, or in His own city of Capharnaum, He took His points and His arguments from the Bible. From the same source came His weapons when disputing with the Scribes and Pharisees. Whether teaching or disputing He quotes from all parts of Scripture and takes His example from it; He quotes it as an argument which must be accepted. Now, when the State rests on foundations like those just named–and for the time being they are greatly in favor–it readily appears into what and how unrightful a position the Church is driven. For, when the management of public business is in harmony with doctrines of such a kind, the Catholic religion is allowed a standing in civil society equal only, or inferior, to societies alien from it; no regard is paid to the laws of the Church, and she who, by the order and commission of Jesus Christ, has the duty of teaching all nations, finds herself forbidden to take any part in the instruction of the people. With reference to matters that are of twofold jurisdiction, they who administer the civil power lay down the law at their own will, and in matters that appertain to religion defiantly put aside the most sacred decrees of the Church. They claim jurisdiction over the marriages of Catholics, even over the bond as well as the unity and the indissolubility of matrimony. They lay hands on the goods of the clergy, contending that the Church cannot possess property. Lastly, they treat the Church with such arrogance that, rejecting entirely her title to the nature and rights of a perfect society, they hold that she differs in no respect from other societies in the State, and for this reason possesses no right nor any legal power of action, save that which she holds by the concession and favor of the government. If in any State the Church retains her own agreement publicly entered into by the two powers, men forthwith begin to cry out that matters affecting the Church must be separated from those of the State. Their object in uttering this cry is to be able to violate unpunished their plighted faith, and in all things to have unchecked control. And as the Church, unable to abandon her chiefest and most sacred duties, cannot patiently put up with this, and asks that the pledge given to her be fully and scrupulously acted up to, contentions frequently arise between the ecclesiastical and the civil power, of which the issue commonly is that the weaker power yields to the one which is stronger in human resources. Yet are we therefore to conclude that the record of facts in Scripture does not come under the guarantee of its inspiration? We are not so to conclude, and for this plain reason:—the sacred narrative carried on through so many ages, what is it but the very matter for our faith and rule of our obedience? What but that narrative itself is the supernatural teaching, in order to which inspiration is given? What is the whole history, traced out in Scripture from Genesis to Esdras and thence on to the end of the Acts of the Apostles, but a manifestation of Divine Providence, on the one hand interpretative, on a large scale and with analogical applications, of universal history, and on the other preparatory, typical and predictive, of the Evangelical Dispensation? Its pages breathe of providence and grace, of our Lord, and of His work and teaching, from beginning to end. It views facts in those relations in which neither ancients, such as the Greek and Latin classical historians, nor moderns, such as Niebuhr, Grote, Ewald, or Michelet, can view them. In this point of view it has God for its author, even though the finger of God traced no words but the Decalogue. Such is the claim of Bible history in its substantial fulness to be accepted de fide as true. In this point of view, Scripture is inspired, not only in faith and morals, but in all its parts which bear on faith, including matters of fact. I, Jude, with a firm faith believe and profess each and everything which is contained in the Creed which the Holy Roman Church makes use of. That is: I believe in one God, The Father Almighty, Maker of heaven and earth, and of all things visible and invisible. And in one Lord, Jesus Christ, the Only-begotten Son of God. Born of the Father before all ages. God of God, Light of Light, true God of true God. Begotten, not made, of one substance with the Father. By Whom all things were made. Who for us men and for our salvation came down from heaven. And became incarnate by the Holy Spirit of the Virgin Mary: and was made man. He was also crucified for us, suffered under Pontius Pilate, and was buried. And on the third day He rose again according to the Scriptures. He ascended into heaven and sits at the right hand of the Father. He will come again in glory to judge the living and the dead and His kingdom will have no end. And in the Holy Spirit, the Lord and Giver of life, Who proceeds from the Father and the Son. Who together with the Father and the Son is adored and glorified, and Who spoke through the prophets. And one holy, Catholic and Apostolic Church. I confess one baptism for the forgiveness of sins and I expect the resurrection of the dead and the life of the world to come. Amen. I most steadfastly admit and embrace Apostolical and ecclesiastical traditions, and all other observances and constitutions of the Church. I also admit the Holy Scripture according to that sense which our holy mother the Church has held, and does hold, to whom it belongs to judge of the true sense and interpretations of the Scriptures. Neither will I ever take and interpret them otherwise than according to the unanimous consent of the Fathers. I also profess that there are truly and properly Seven Sacraments of the New Law, instituted by Jesus Christ our Lord, and necessary for the salvation of mankind, though not all for every one; that is: Baptism, Confirmation, Eucharist, Penance, Extreme Unction, Orders, and Matrimony; and that they confer grace; and that of these, Baptism, Confirmation, and Orders cannot be reiterated without sacrilege. I also receive and admit the received and approved ceremonies of the Catholic Church in the solemn administration of the aforesaid sacraments. I embrace and receive all and every one of the things which have been defined and declared in the holy Council of Trent concerning original sin and justification. I profess, likewise, that in the Mass there is offered to God a true, proper, and propitiatory sacrifice for the living and the dead; and that in the most holy sacrament of the Eucharist there is truly, really, and substantially, the Body and Blood, together with the soul and divinity, of our Lord Jesus Christ; and that there is made a conversion of the whole substance of the bread into the Body, and of the whole substance of the wine into the Blood, which conversion the Catholic Church calls Transubstantiation. I also confess that under either kind alone Christ is received whole and entire, and a true sacrament. I constantly hold that there is a Purgatory, and that the souls therein detained are helped by the suffrages of the faithful. Likewise, that the saints, reigning together with Christ, are to be honored and invoked, and that they offer prayers to God for us, and that their relics are to be venerated. I most firmly assert that the images of Christ, of the Mother of God, ever virgin, and also of other Saints, ought to be had and retained, and that due honor and veneration is to be given them. I acknowledge the Holy Catholic Apostolic and Roman Church as the mother and mistress of all churches; and I promise true obedience to the Bishop of Rome, successor to St. Peter, Prince of the Apostles, and Vicar of Jesus Christ. I likewise undoubtedly receive and profess all other things delivered, defined, and declared by the sacred Canons, and general Councils, and particularly by the holy Council of Trent. I condemn, reject, and anathematize all things contrary thereto, and all heresies which the Church has condemned, rejected, and anathematized. This true Catholic faith, outside of which no one can be saved, which I now freely profess and to which I truly adhere, inviolate and with firm constancy until the last breath of life, I do so profess and swear to maintain with the help of God. And I shall strive, as far as possible, that this same faith shall be held, taught, and professed by all those over whom I have charge. I Jude do so pledge, promise, and swear, so help me God and these Holy Gospels. although it is necessary to believe that sins neither are remitted, nor ever were remitted save gratuitously by the mercy of God for Christ’s sake; yet is it not to be said, that sins are forgiven, or have been forgiven, to any one who boasts of his confidence and certainty of the remission of his sins, and rests on that alone[…]. But neither is this to be asserted,–that they who are truly justified must needs, without any doubting whatever, settle within themselves that they are justified, and that no one is absolved from sins and justified, but he that believes for certain that he is absolved and justified; and that absolution and justification are effected by this faith alone: as though whoso has not this belief, doubts of the promises of God, and of the efficacy of the death and resurrection of Christ. 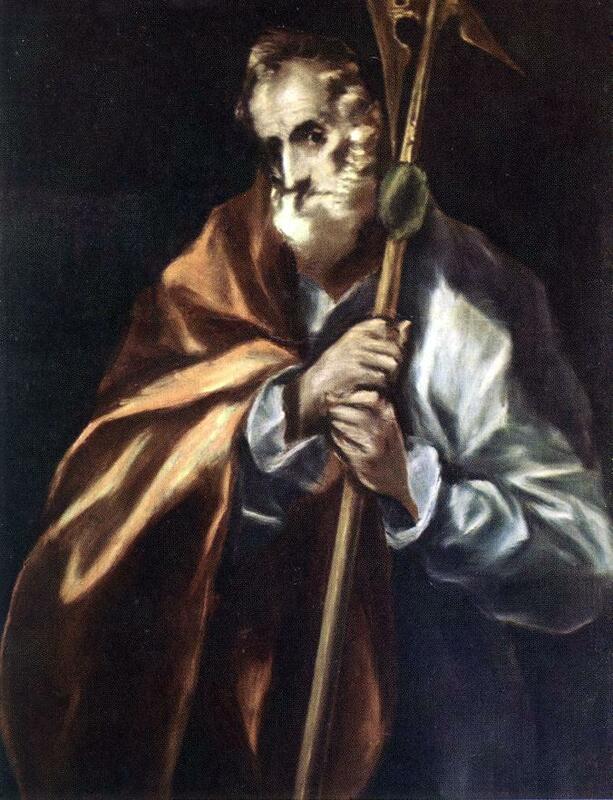 For even as no pious person ought to doubt of the mercy of God, of the merit of Christ, and of the virtue and efficacy of the sacraments, even so each one, when he regards himself, and his own weakness and indisposition, may have fear and apprehension touching his own grace; seeing that no one can know with a certainty of faith, which cannot be subject to error, that he has obtained the grace of God. Amongst these principles [which, in the midst of the terrible unheavals of the last century, were wildly conceived and boldly proclaimed] the main one lays down that as all men are alike by race and nature, so in like manner all are equal in the control of their life; that each one is so far his own master as to be in no sense under the rule of any other individual; that each is free to think on every subject just as he may choose, and to do whatever he may like to do; that no man has any right to rule over other men. In a society grounded upon such maxims all government is nothing more nor less than the will of the people, and the people, being under the power of itself alone, is alone its own ruler. It does choose, nevertheless, some to whose charge it may commit itself, but in such wise that it makes over to them not the right so much as the business of governing, to be exercised, however, in its name. The authority of God is passed over in silence, just as if there were no God; or as if He cared nothing for human society; or as if men, whether in their individual capacity or bound together in social relations, owed nothing to God; or as if there could be a government of which the whole origin and power and authority did not reside in God Himself. Thus, as is evident, a State becomes nothing but a multitude which is its own master and ruler. And since the people is declared to contain within itself the spring-head of all rights and of all power, it follows that the State does not consider itself bound by any kind of duty toward God. Moreover, it believes that it is not obliged to make public profession of any religion; or to inquire which of the very many religions is the only one true; or to prefer one religion to all the rest; or to show to any form of religion special favour; but, on the contrary, is bound to grant equal rights to every creed, so that public order may not be disturbed by any particular form of religious belief. First and foremost, it is the duty of all Catholics worthy of the name and wishful to be known as most loving children of the Church, to reject without swerving whatever is inconsistent with so fair a title; to make use of popular institutions, so far as can honestly be done, for the advancement of truth and righteousness; to strive that liberty of action shall not transgress the bounds marked out by nature and the law of God; to endeavour to bring back all civil society to the pattern and form of Christianity which We have described. It is barely possible to lay down any fixed method by which such purposes are to be attained, because the means adopted must suit places and times widely differing from one another. Nevertheless, above all things, unity of aim must be preserved, and similarity must be sought after in all plans of action. Both these objects will be carried into effect without fail if all will follow the guidance of the apostolic see as their rule of life and obey the bishops whom the Holy Spirit has placed to rule the Church of God. The defense of Catholicism, indeed, necessarily demands that in the profession of doctrines taught by the Church all shall be of one mind and all steadfast in believing; and care must be taken never to connive, in any way, at false opinions, never to withstand them less strenuously than truth allows. In mere matters of opinion it is permissible to discuss things with moderation, with a desire of searching into the truth, without unjust suspicion or angry recriminations.